for pet groomers to make ordering pet loss sympathy gifts as simple as clicking a button! Pets are like family to so many people. When your customer tells you their pet has passed away you may not know what you can do to help comfort them. After a hectic day at work, picking up a sympathy card can innocently slip your mind. Your busy schedule also leaves little time to go to a store to buy a card, sit down to write the message, and make a trip to the post office to mail it. 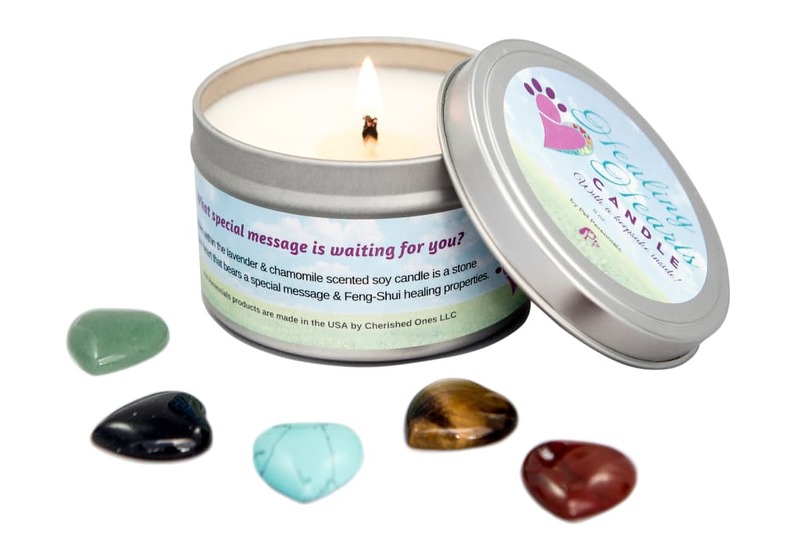 For these reasons, Groomsoft has teamed up with Pet Perennials to help make sending pet loss sympathy gifts to your customers as easy as choosing a gift and clicking a button. This saves you time, energy, the possibility of innocently forgetting and most importantly, shows your customer how much you care, which will help strengthen your business relationship as well. Pet Perennials provides a thoughtful sympathy package service that takes care of everything for you. 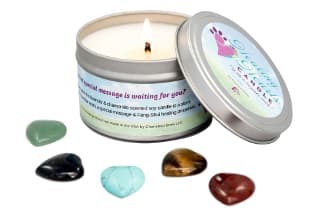 The only memorial candle that contains a keepsake heart that carries a special message from a pet, as well as Feng-Shui healing properties. The 8 ounce soy candle has a cotton wick and is infused with the soothing scents of lavender and chamomile essential oils. As the candle melts away, the keepsake heart and message are revealed. Simply wash the stone with warm soap and water. Tuck it away in a pocket or wallet to be reminded of a beloved pet each time it is seen. A patented eco-friendly craft that promotes healing by making seed wafers that grow perennial flowers. The blooms attract honeybees, butterflies, and hummingbirds. 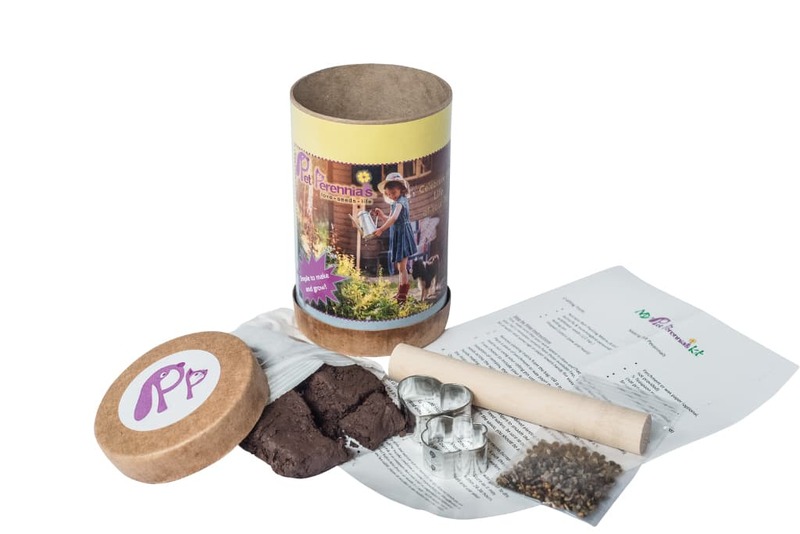 Each kit contains nutrient rich planting matrix, perennial wildflower seeds, crafting tools, and instructions. The kit produces 10-12 seed wafers that grow a rainbow of colorful wildflowers that keep a pet’s memory alive season after season. ** This item is not available for shipping to Canada due to customs restrictions. 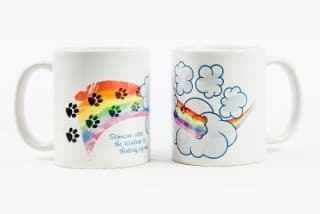 This ceramic mug helps to keep a pet’s memory part of a daily routine, whether it is coffee in the a.m. or tea in the p.m.! 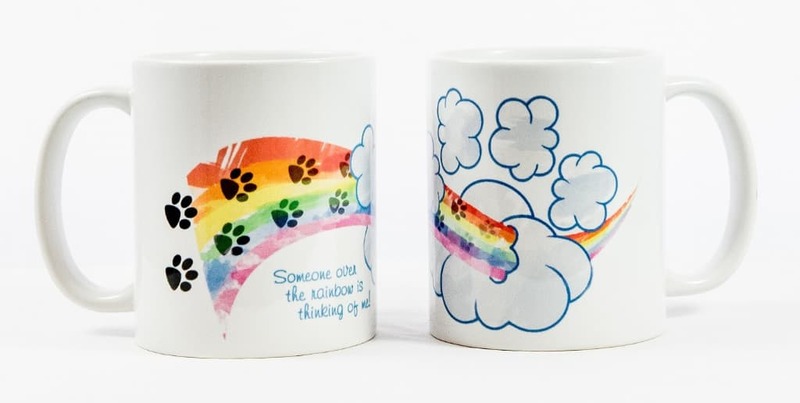 The custom artwork wraps the entire mug and says “Someone over the rainbow is thinking of me” for a gentle reminder that our pets are never far away. The ceramic mug is safe for dishwashers and microwaves; it holds 11 ounces of your favorite beverage. When you mark a pet as deceased in Groomsoft pet grooming software, you will have the opportunity to send your valued customer a pet loss sympathy gift. When you place an order, Pet Perennials will ship the gift of your choice in a gift wrapped box along with a handwritten sympathy card. Orders are fulfilled within 24 to 48 hours of receipt. The gift wrapped box is placed in a shipping box, labeled and shipped on your behalf. You will receive a confirmation email that includes a copy of your paid invoice and the shipping information so that you can track delivery of your gift package/s. Sign up for the Pet Perennials gift service within Groomsoft. A representative from Pet Perennials will call you to collect your credit card information for billing. Whenever you mark a pet as deceased and save the record, you will be asked if you would like to send a sympathy gift. There is also a button to purchase a sympathy gift whenever you view a deceased pet. Select the gift(s) you would like to send, review or edit the personalized message for the handwritten sympathy card. Now that's much quicker then driving to a store, picking out a sympathy card, deciding what to write in it and then going to the post office to mail it! ** Please note. Pet Perennials is a product line owned by Cherished Ones, LLC. They will only charge your credit card when you submit an order for a sympathy gift.